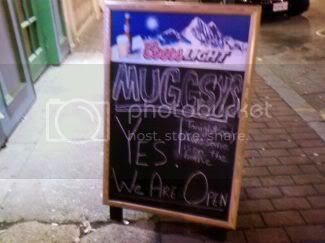 Muggsy's has offered us the upstairs of their fine bar to host our meetings the first thursday of every month.Â So the plan is to meet once a month for discussion/planning/hanging out, and once every other month to brew.Â This will also make scheduling the meetings easier.Â So mark it on your calendar for the first thursday of every month (starting in september). Speaking of calendars...i've set one up in google.Â You can subscribe to it on the baltibrew website.Â This is meant to be a place to list all baltibrew activities along with any other maryand beer activities that people might be interested in.Â Email any events you want on the calendar to baltibrew@gmail.com. We plan on setting up a paypal account so we can more easily contribute money towards brewing activities. We will be sponsoring and be a major organizer of the 2nd Chili-Brew competition, which will be a featured Baltimore Beer Week Event.Â This is a chili and beer competition judged by your peers, and will be a great way for Baltibrew to show face during the 2nd annual baltimore beer week.Â More details to come on date/time/etc. We also plan on printing up more business cards and hopefully some shirts that can be worn during baltimore beer week.Â stay tuned. Our August brew will be either august 28th or 29th (sat/sun). The style of beer we will brew will be either an altbier, weissbier, or weisenbach. I think that about covers it.Â Hope everyone's summer is going well and hope to see you for the german brew at the end of august.